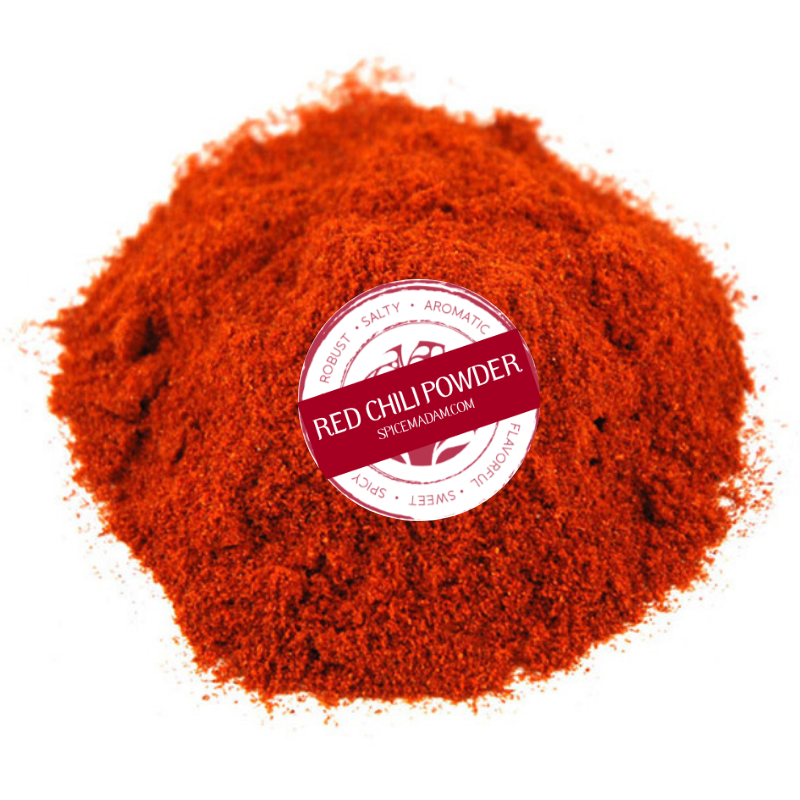 Kashmiri Chili Powder used in Indian cooking has some heat, but is mainly used to add a bright color to dishes like tandoori chicken. There are many varieties of chili powder available, but generally Kashmiri chilies are used for North Indian cooking. Enjoy a light sprinkle over your eggs, avocado toast or over roasted veggies!